Isn't it obvious that a non foodie like me goes to a wedding so I could dress up and take twirling pictures in my ghaghra for Instagram. But mind you, it comes with a cost, cost of the heavy ghaghra which burns a hole in your pocket. Which later will only sit at the top your Almeras in a suitcase. The same ghaghra which feels as heavy as a person and makes you crib every now and then. As much as ghaghras look pretty they aren't very comfortable to be in. Also gone are those days of typical ghaghra choli, because Indo Western has taken the world by a storm. Namaslay everyone!🙏🏻 How you doing? Shadi season is here and I am not up for investmenting my money in heavy ghaghras no matter how pretty they look. 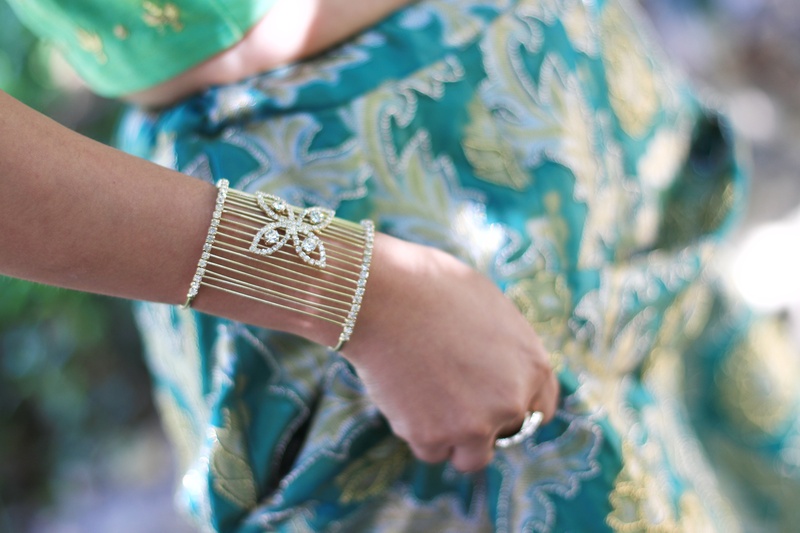 And this blog is going to be your fix for all the shadi season shenanigans. 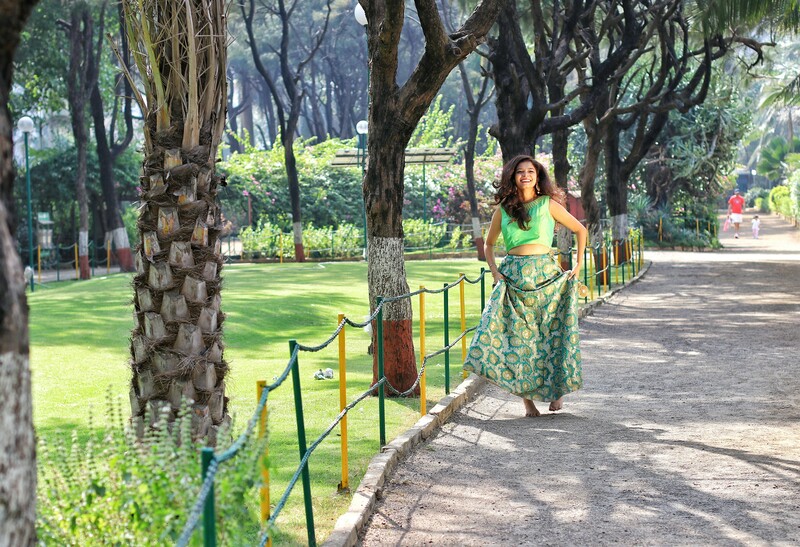 The set I am wearing is by DHUNI designer studio owned by a fresh fashion designer named Shilpa khankhara. She believes in wearing what you feel and hence comfort is what she keeps in mind. 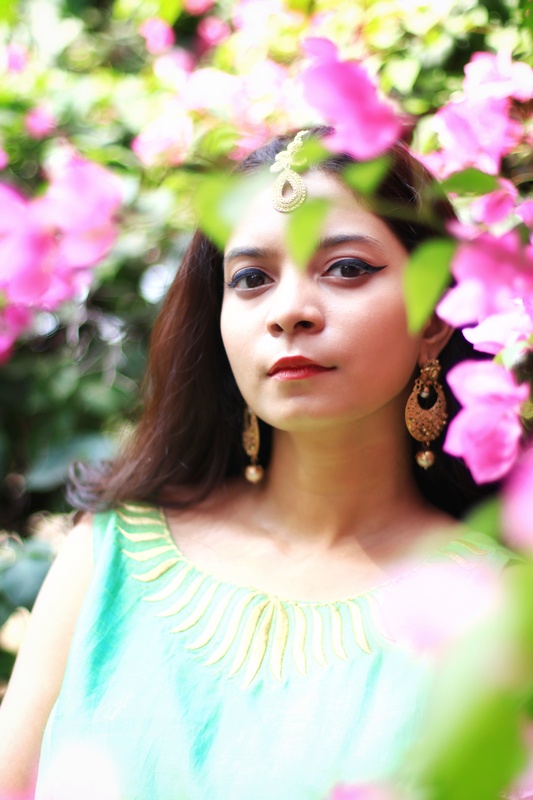 She specializes in Indo Western outfits to make heads turn as you strut around in comfort and style. she also customizes the outfit according to your style and budget! 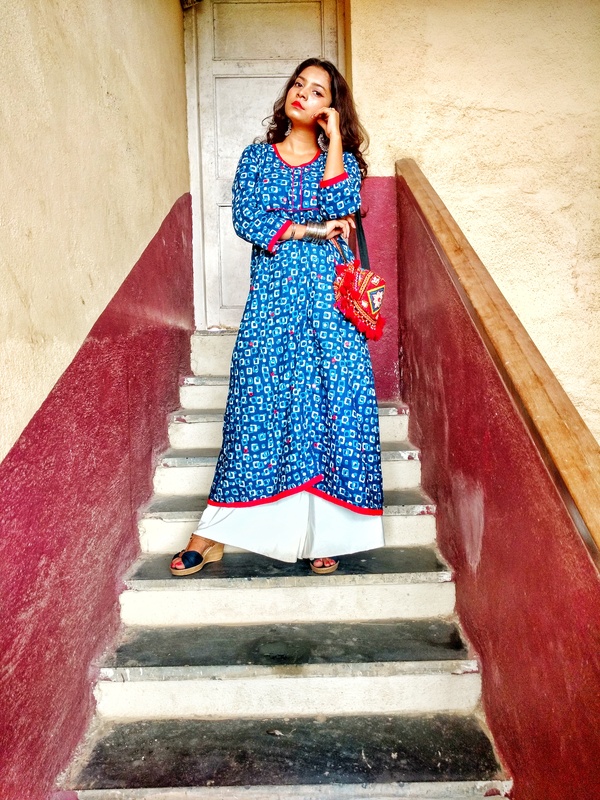 Going with #traditionalswithatwist , the ghaghra I am wearing is not your usual one. 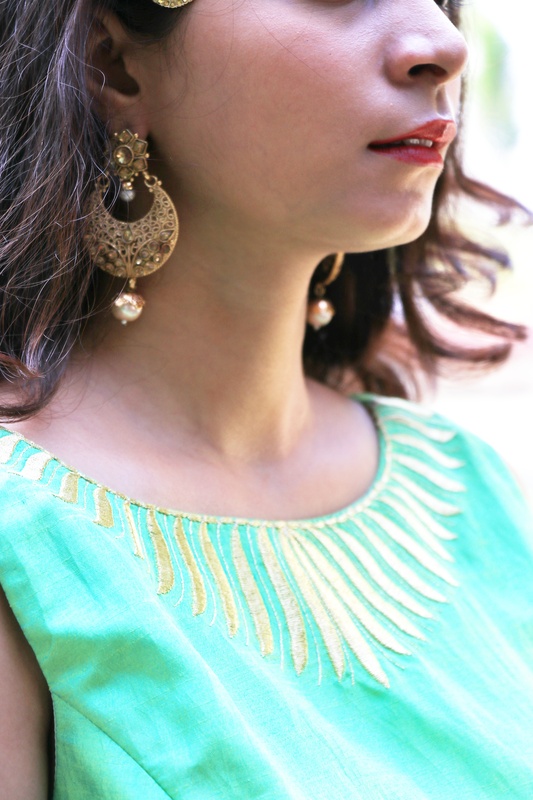 It's a green ghaghra with brocade embroidery all over it in leafy designs. It's all in the green color palette with golden detailing. It has long strings that hangs from the waist and has two circular लटकनs at the ends. 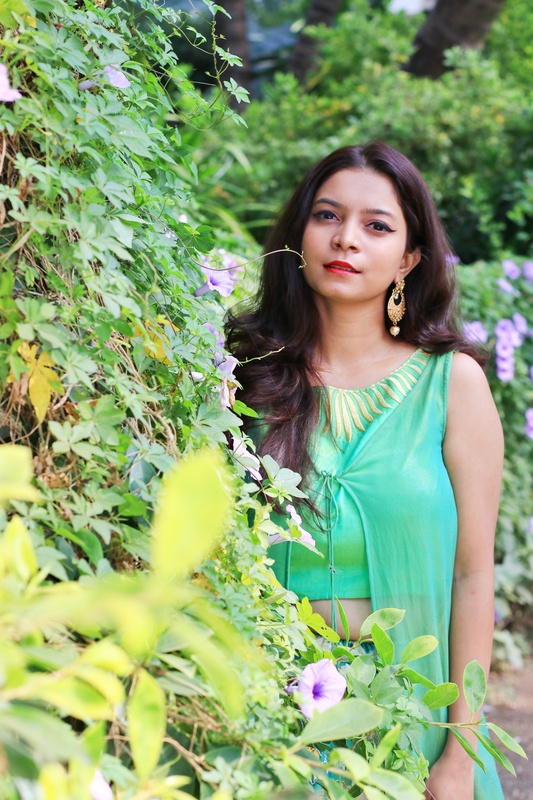 The choli is also in the same green shade having golden detailing at the neck with a sheer green net back. 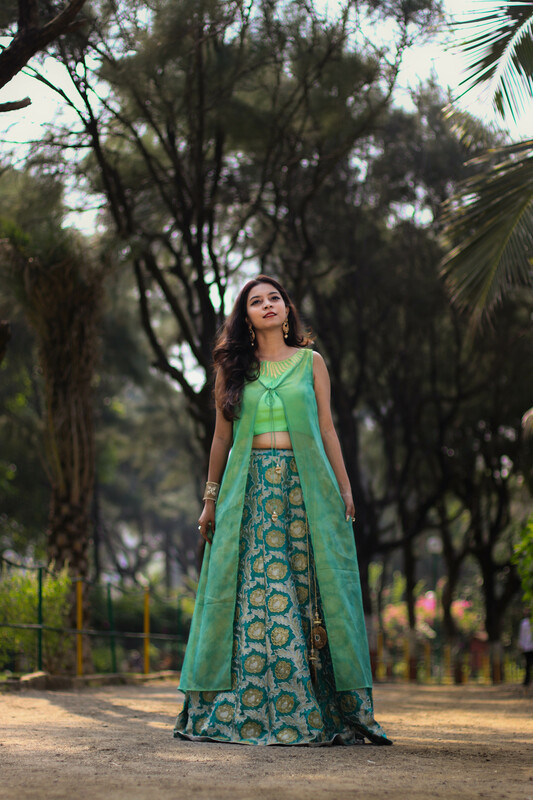 The choli is more like a crop top which can be temaed up with other outfits as well. Ditching the duppata which isn't as easy to handle and nor does it clings on to a hot guy like Bollywood shows it to be. It comes with a light long jacket instead that ties up at the bust. Though it's a simple jacket but adds so much character to the outfit and totally transforms it. Jazzed it up a bit more with golden jewellery. you can do your additions according to the occasion, preference and your own style. And voila that's how you rock a ghaghra being comfortable, looking unique without wasting a lot of money. Behind the camera crew: Haranish Mehta and Vardhan Zaveri. 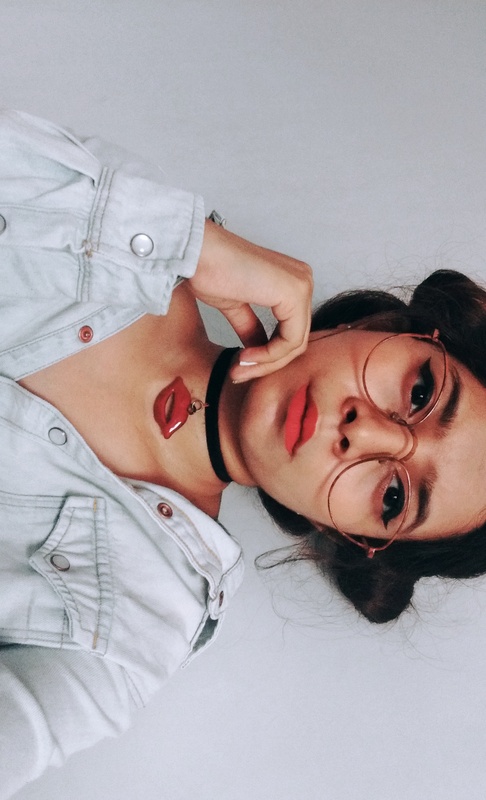 Twist the look your way and tag me, tell me about your tips and tricks. Let's spread girl love and inspire each other. Let's come together and make a dope fam"The Bomb Fam" If you are on my space for the first time, Hey there! Scroll down to know more. Also don't forget to click on the follow button on down right of your screen to get the notification everytime I post. Follow me on my social media profiles to get a sneak peek of my life, Instagram/Snapchat/Roposo : the_baybomb. Stay tuned for my next one, till then stay bomb and keep slaying. More hope, love and positivity to you, The Bay Bomb, Sonia Patel.